Driven by young people committed to see more lives saved, Higherlife Foundation (www.HigherLifeFoundation.com) and Delta Philanthropies, are inviting other young people to join their campaign in a bid to support and stand with other young people impacted by Cyclone Idai that hit Zimbabwe, Mozambique and Malawi on 15 March 2019. Pledge Idai’s goal is to raise $200,000 in 45 days through a GoFundMe page. With Delta Philanthropies, Higherlife Foundation and partners on the ground, our response strategy will seek to recover, restore and rebuild. Floods and winds destroyed businesses, schools, clinics, churches, roads and communications infrastructure. 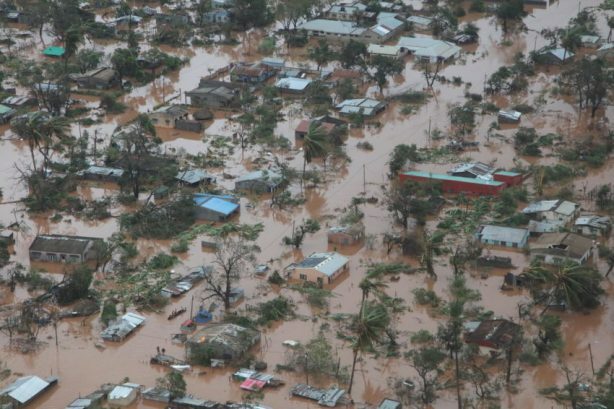 The devastation of this disaster has left whole parts of towns in Mozambique under water.